We improve your brand through online strategy. with visible and measurable results. We help you generate a real active community in your social networks. We manage and create the content, we answer your audience, we make reports and protocols. Bring your brand to the public through an immersive, unique and attractive experience. Generating a brand recall and creating conversation. Today, who does not have a webpage simply does not exist. We design and develop your website. We manage the database, design and personalize your emailings, we create messages that bring credibility and trust. After the campaigns we create reports of tracking of deliveries, openings, clicks, rebounds and casualties. We perform a set of techniques inside and outside a website, to improve your position in the organic results of different search engines or through Google AdWords campaigns. We develop your app on either iPhone or Android, to be able to live 24 hours in the pocket of your audience. We developed the Virtual Reality application UIC Barcelona VR Experience, an innovative game for UIC Barcelona in the Saló de l’Ensenyament, the week of training and work that was held between March 22nd and the 26th in the Fira Barcelona. At the university’s stand participants were challenged to wear virtual reality glasses and tour the facilities of UIC Barcelona. The trick? In each room a certain amount of birds were hidden and the mission was to catch them in the least amount of time possible. 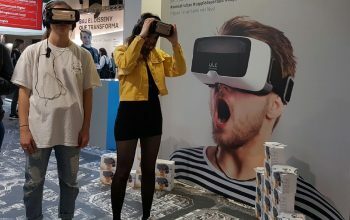 Once the activity was completed, if the contestant had passed the test he was wearing a virtual reality glasses at the same time, he also entered a subsequent contest on social networks. Praying now is easy, agile and creative. 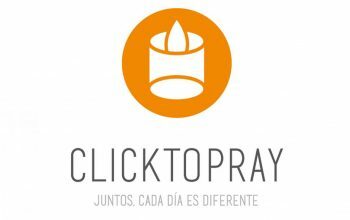 We develop Click To Pray the official app of the Pope’s Worldwide Prayer Network (Apostleship of Prayer). It connects you and moves you with thousands of people who every day find a purpose (in the challenges of humanity and the mission of the Church that the Pope proposes in his intentions every month) to pray, live and build the world that we dream. An app developed in 5 languages: English, Spanish, Portuguese, French and German. It has more than 115,000 downloads worldwide and a community of 555,000 people (adding all its platforms: social networks, newsletter subscribers, users of the app and web). The Pope Video is a global initiative developed by the Pope’s Worldwide Prayer Network (Apostleship of Prayer) to help spread the Holy Father’s monthly intentions regarding the challenges humanity is facing. Each month we accompany Pope Francis in his prayer requests, making known his intention in social networks. 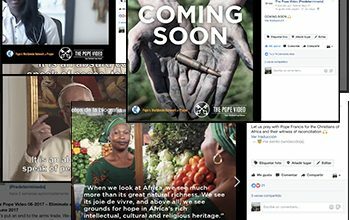 Focused mainly on Youtube and Facebook we launched the monthly video (in addition to Twitter, Instagram and Vimeo). We made a strategy of contents in the calendar and investment without it has taken us in a year to reach an audience of 31,673,000 people. It has more than 105,000 followers on Facebook and 14,000 subscribers on Youtube.